Hello to all. I put a new switch in for the rev light but it would appear the plunger is not being pushed in when I select reverse. I have screwed it in all the way to the black o ring. The switch works ok out of the gbox. Has anyone come across this before. The plunger protruds 6mm at the end of switch, does anyone happen to have one lying about they wouldn't mind measuring for me. Regards Mark. O-ring? It should have a flat washer and you are meant to tighten it right up. 9. Refit reverse light switch with new copper washer. Tighten to 24 Nm. 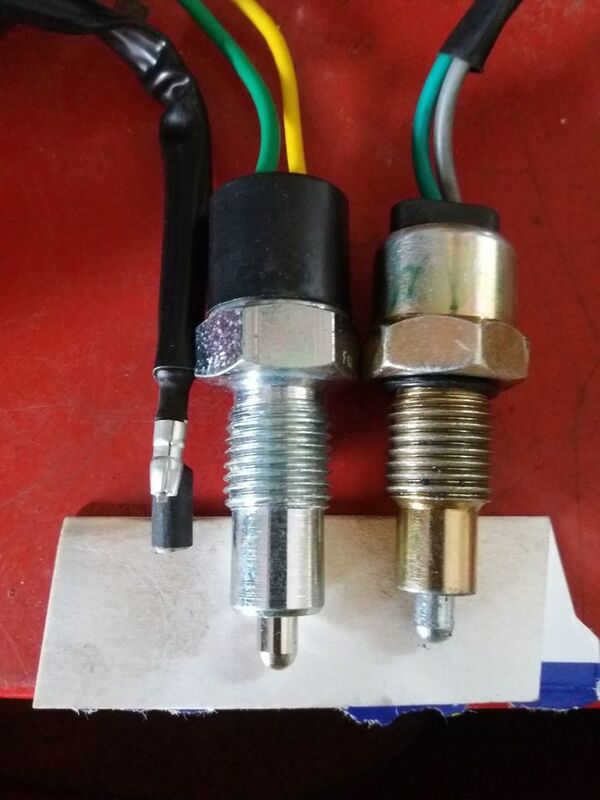 Hi part no was AMR3918 definitely came with an o ring, Haynes refere to a sealing ring I suppose it could be metal or rubber there was no switch in the gbox at all just a plastic bung . I will try and measure depth I can put a rod in the switch orifice out of rev and in rev. Thanks. Step 1: Burn Haynes manual. Step 2: Get real manual. You need the washer, part number 232042. Are you sure you have the correct hole? I had the same problem. A friend who welds like artwork tacked a blob onto the end of the plunger to extend it. It's a common issue, though I'm not sure if the switch was pattern or genuine. Thanks Western, I managed to find that pt no also on the retroanaconda parts list. Had thought about a blob of weld, but knowing my luck it would break off and jam up the gearbox. 😭 Thanks. that'll be the difference between the retrofit R380's & the factory fit for 300tdi vehicles then. No. There was a change during production. Mine is MA95 that was the reason I went for the AMR3918 ordered the other pt no so I"ll be able to compare. Not gen LR mind you. mine is a retrofit R380 for older vehicles it has the spade connectors.